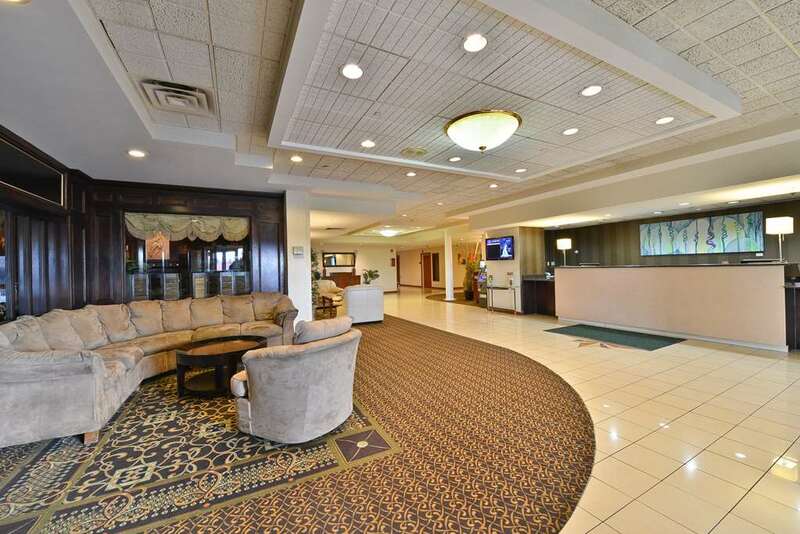 Get together at the Clarion Hotel and Conference Center Harrisburg West in New Cumberland, PA. We are conveniently located near Harrisburg and numerous local points of interest. Our conference center hotel offers great event space,laundry services, a fitness center and indoor heated pool. Be sure to take advantage of our free WiFi, free hot breakfast, too. Each smoke-free guest room features a flat-screen TV, hair dryer, coffee maker, desk, iron and ironing board. Also, earn rewards including free nights and gift cards with our Choice Privileges Rewards program.